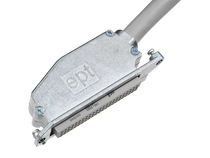 ept is your efficient one-stop supplier for customized connectors. Not only can you benefit from the experience we’ve gained in successfully implementing numerous development projects; you can also profit from the fact that ept combines all of the requisite development and production processes in-house, thereby enabling us to offer our customers a high degree of flexibility and competence, as well as short response times. Comprehensive consultation and service are as much a part of our high standards as the development of cost-optimized products and processes. And we offer precisely the right solution to meet your requirements. We look forward to receiving your request and offering advice. Miniaturization is one of the leading technology trends. For example, sensor technology involves interconnecting very small circuit boards. Yet the connections also have to be dependable and mechanically resilient. We offer highly secure, press-fit connections between contacts and PCB holes – connections capable of resisting shock, vibration, extreme temperatures, and corrosive gases. Airtight molding is another option for providing optimal protection against these predominantly external influences. Rapid data transfer is often the most important requirement for a connection. PCB connections based on SMT boast high data rates and optimally designed contacts. Transfer rates can also be improved using additional shielding. 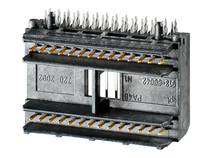 For more robust power connectors, we recommend an optimized contact design, for example, one with multiple contact points per pin. 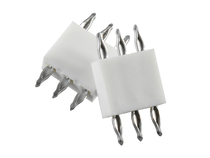 Highly conductive contact material can also be used when transmitting high currents. Minimal deviations from the standard? It often happens that existing connectors deviate only slightly from specific requirements. Adapting standard connectors to your special needs is an attractive alternative to developing new ones; it saves time and money. Our employees in the areas of product development, product construction, project management, process development, order management/controlling, processing technologies, and logistics planning ensure that the project is executed flawlessly from development to execution. Comprehensive consultation is as much a part of our high standards as full development in accordance with automotive guidelines (APQP). Over the years, we have acquired a high level of product development expertise. But our wealth of experience is not limited to product and process development; it involves quality preplanning as well, including advanced product quality planning (APQP), failure mode and effects analysis, and a comprehensive production part approval process (PPAP) carried out with the customer. In addition to tried and proven press-fit technology featuring our patented Tcom press® press-fit zone, ept offers many other types of termination technology products. 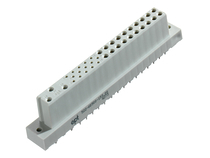 Soldered connections, THTR, SMT – we offer a suitable solution for every application. We manufacture all of the necessary tools in our own tool shop. This includes tools for stamping and injection molding, stamping machines, fixture construction, and automation. Stamped contacts are made in our stamping workshop using machines that we develop and produce ourselves. In the first place, this guarantees maximum profitability and flexibility. But it also enables us to monitor the quality of all aspects of the stamping process. Our goal is to achieve the perfect balance between tool and machine. Insulation and plastic parts are produced using a variety of injection molding machines with different levels of automation, depending on what requirements the product imposes on the processes. Injection molding technology is another one of our core competencies. We operate a total of four strip electroplaters with a total of five tracks at two of our plants. Different strip speeds and galvanic bath combinations enable us to produce a large number of surface coatings with a wide range of thicknesses and compositions, for example, Sn, Ni, SnPb, Au, PdNi, and NiP. Connectors are assembled using machines and equipment we develop and build ourselves. And of course, we also have in-line inspection systems.